IgG2a monoclonal antibody (immunoglobulin). 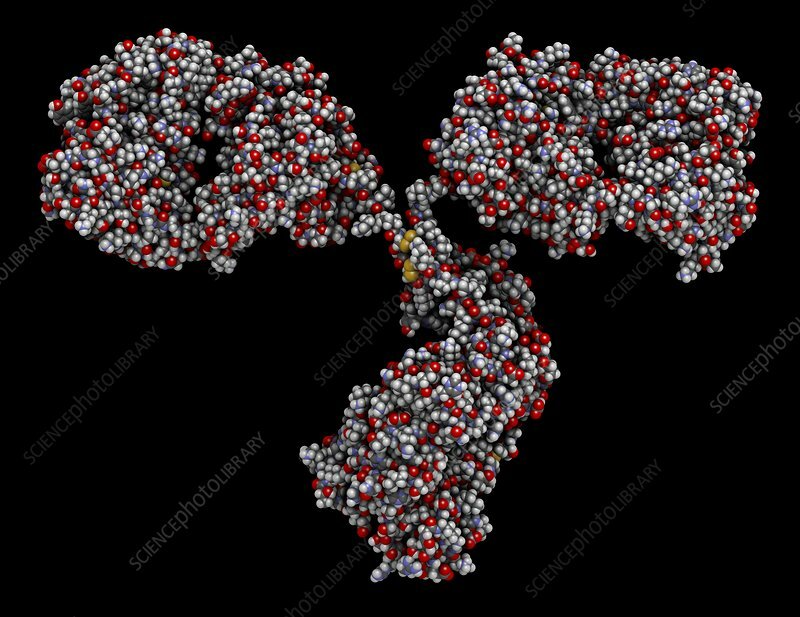 Many biotech drugs are antibodies. Space-filling model with conventional colour coding.